Double wide with large master bedroom and 2 large bedroom on fenced 10 acres with about 70% cleared. Have a small pond at the back of the property. Walk in closets in bedrooms.Newer bathrooms. Newer A/C and new roof of about a year or less. 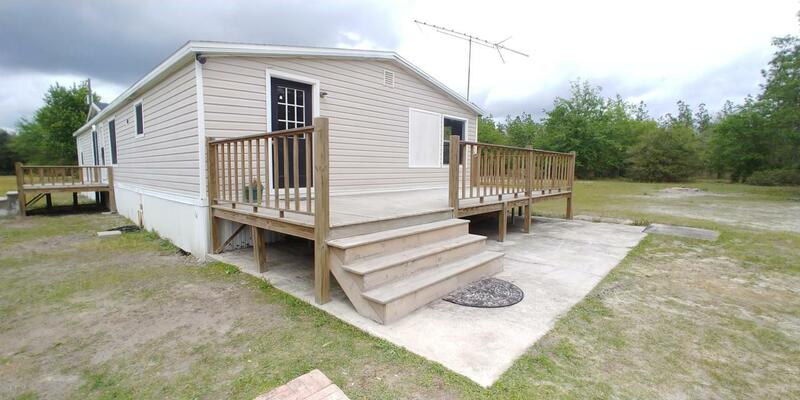 Has new deck front (7'x10') and rear entrance (10'x28') on a 15'x28' of concrete slab. Has a an existing antenna. New vinyl planks and new carpet will be install with a week to 2 weeks. Top Kitchen cabinets will be replaced about the same time. Appliances will be replaced. Eat-in kitchen Large living room and extra large family room. Very close to pave roads and I-10. Listing courtesy of Arial Realty 18 Llc.